We exist for boys as they are so they imagine the men they can become. What do you like to do for fun? Maybe you like to swim, ride your bike, play sports or just spend time with your friends. When you’re at our camp, you can do all of that and more! 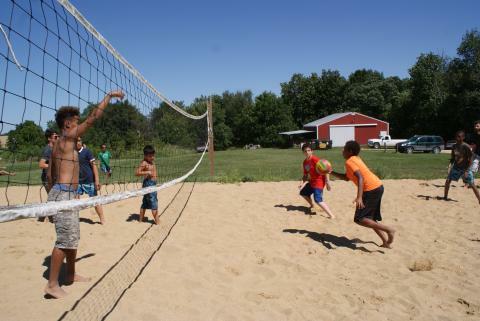 We offer a variety of land, water and adventure activities for you to choose from while at camp. 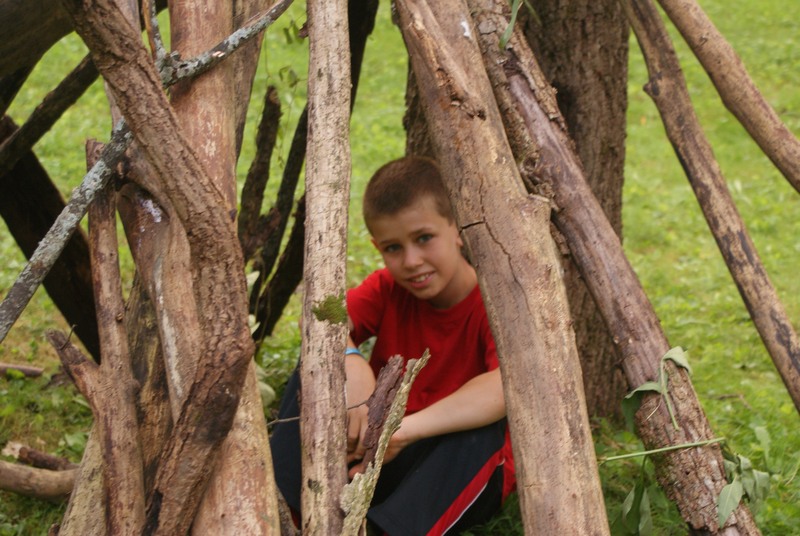 Take a look below at a small sample of the camp activities that we offer at camp. Rock climbing is a challenging, heart pumping, and extremely rewarding activity. We offer the Midwest’s premiere natural rock climbing walls with 85-foot and 60-foot walls, each of natural limestone rock face. 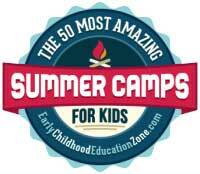 From beginners to experts, campers enjoy the challenge and self-esteem building experience that comes with conquering the walls. Whether you have climbed a dozen times before or are putting on the harness for the first time, our experienced instructors will talk you through every step with extreme safety in mind. 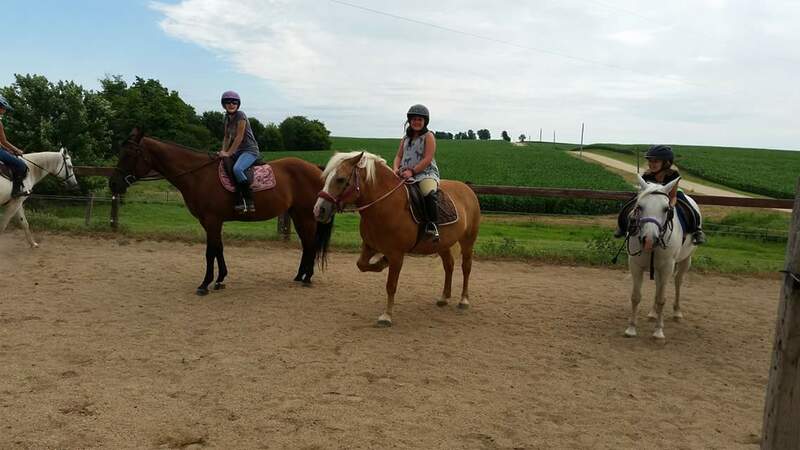 We offer English and Western riding lessons. There are a nice assortment of lesson horses that are quiet, well-behaved, and enjoy their job. Riders learn about safety, care, and correct horsemanship, plus advanced horse care skills including the essentials of feeding, grooming and tacking up the horse, tying knots and saddling. Depending on progression and ability, there are opportunities to trot, post, canter and jump. As campers work together in the barn and on the course, they form a strong bond with the horses and each other–helping to build critical character skills of empathy and trust. Additional fees apply to this activity. Swimming is always a fun activity on a warm summer day. Our beautiful 30- by 60-foot fully-staffed swimming pool, located in the heart of camp, is the venue for swimming supervision from our certified lifeguards, fun pool games, and diving from our one-meter board. A river walk or river float is the perfect activity for cooling off on a warm summer day. During a river walk, campers dressed in life jackets, shorts, t-shirts, and shoes walk the length of the river observing and interacting with the beings that consider the river their home. 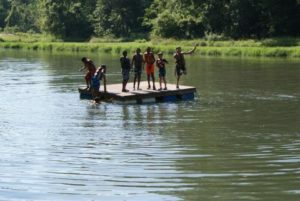 Campers celebrate the end of a river walk by floating down the river, taking a trip under our very own waterfall, or doing crazy jumps off the dam into our 18-foot deep lake. Paddle boarding (or SUP, for stand up paddle boarding) is one of the fastest growing outdoor sports around. 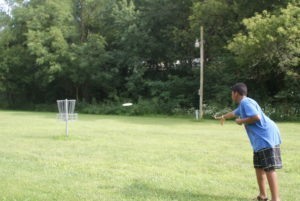 It’s easy to learn and super fun on the lake and river! GaGa is a fantastically exciting version of dodgeball that requires players to hit the ball with their hand or fist (rather than catching and throwing) below the waist of other players. Our GaGa “pit” contains game play, as well as allowing for wall shots, which keep players active and alert…fun! It’s addictive though, so beware…you can’t play just one game! Crate stacking is an extremely fun activity, which tests campers’ balance and coordination, while also requiring teamwork. The object of the activity is to construct a tower of crates while balancing and climbing. 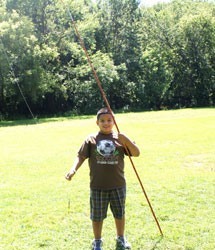 Campers enjoy the challenge and self-esteem building experience that comes with trying to climb as high as possible. Our experienced instructors talk you through every step with extreme safety in mind. 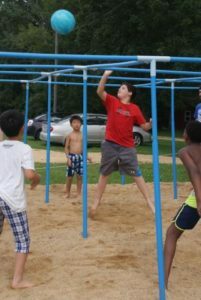 Test your balance skills by participating in slacklining! Whether campers have tried it before or are completely new to the activity, it’s a popular event for all. If you’re scared to fall, don’t worry. 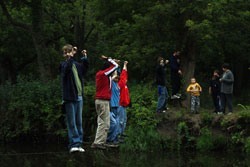 You can have spotters on either side of you for support as you navigate the line only two feet off the ground. Or, if you’re more daring, try walking the line all by yourself! 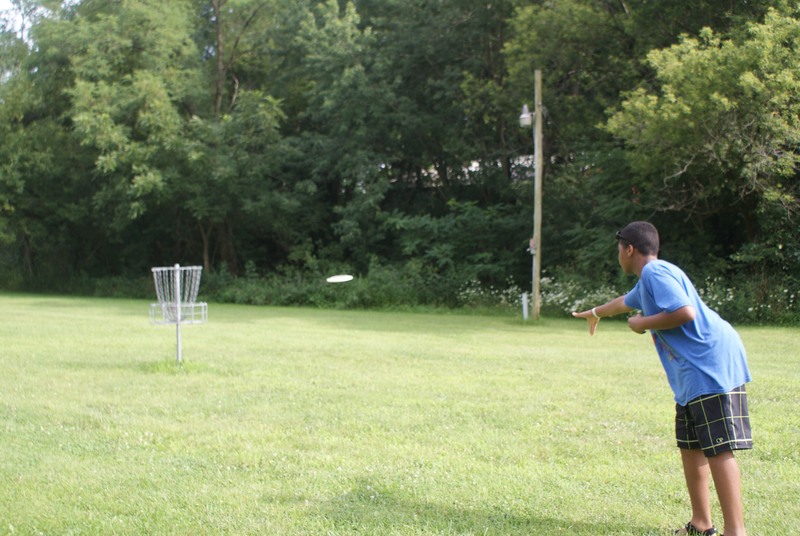 We have a fun nine-hole Frisbee golf course. 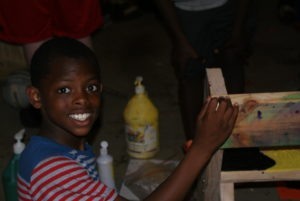 Within our many different types of craft activities, you can let your creative juices flow or find them for the first time. 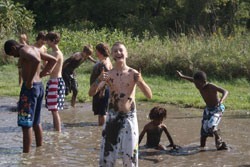 During Free to Learn, campers have the opportunity to spend some unstructured time in the Walnut Grove. 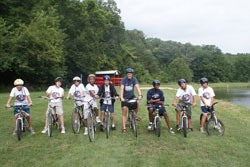 Using 18-speed GT hybrid mountain bikes, sturdy Trek mountain bikes, and tough BMX-style bikes, our biking program is top notch! 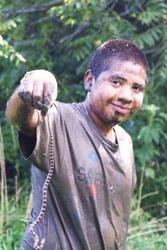 There are miles of trails for serious trail blazing and skill development. 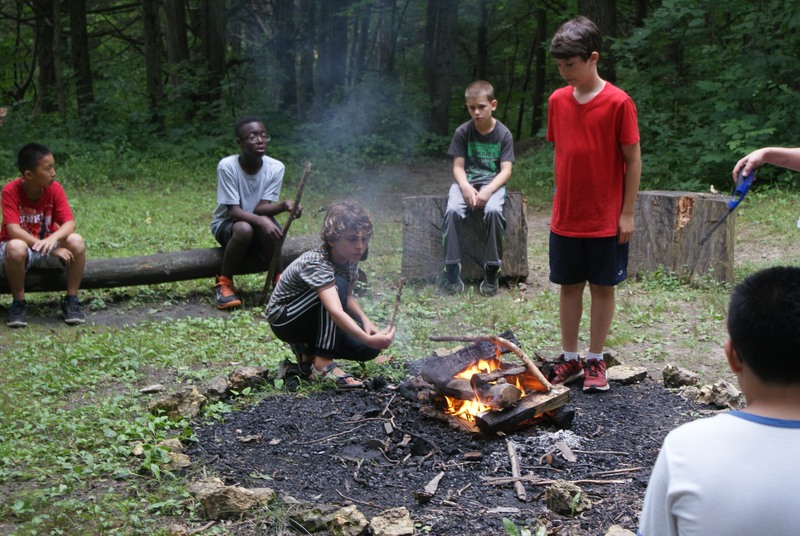 One of the oldest camping activities is developing the skills to live and survive outdoors. 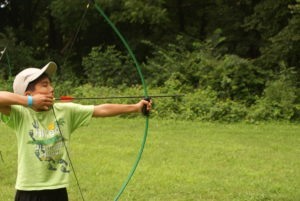 High-quality traditional recurve bows are available for campers to test their skill at our different ranges.